Seth W. Diamond was born and raised in the State of Maryland. He attended Syracuse University, where he received his Bachelor's Degree in Political Science from the Maxwell School of Citizenship, which is consistently the top rated school for public affairs by U.S. News and World Report. After receiving his Bachelor's Degree, Mr. Diamond returned to the Washington, D.C. area, where he worked on various national political campaigns as Assistant Director of the Political Education Department of a major political action committee. 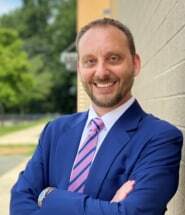 Mr. Diamond received his Juris Doctor degree from the Washington College of Law at The American University in 2002. While attending law school, Mr. Diamond served as a judicial intern for The Honorable Andrew Sonner on the Court of Special Appeals of Maryland. After receiving his law degree in 2002, Mr. Diamond moved to Miami where he spent five (5) years practicing law at a moderately sized litigation law firm. He has since returned to the State of Maryland where he practices consumer bankruptcy law, contracts, and litigation. Seth is a Member of the Bar Associations of Maryland, Washington, D.C., and Florida. He is also a member of the Bankruptcy Bar Association of Maryland, where he currently serves as Chair of the Greenbelt Chapter, as well as the Maryland State Bar Association Consumer Bankruptcy Section. He is past-chair of the Chapter 13 subcommittee of the Bankruptcy Bar Association of Maryland's Local Rules Committee, and has conducted various speaking engagements on legal issues. While he was won multiple honors and awards, has been quoted in Baltimore City Paper and other notable periodicals, and is regularly called upon to resolve complex matters, Seth looks at each and every case independently, knowing that the most important case for a client, is his or her case.